Do you love coffee? Do you have an empty space on the wall that needs filling? This monochrome wall sticker is perfect for decorating the kitchen in a way that expresses your love for coffee and other hot drinks. 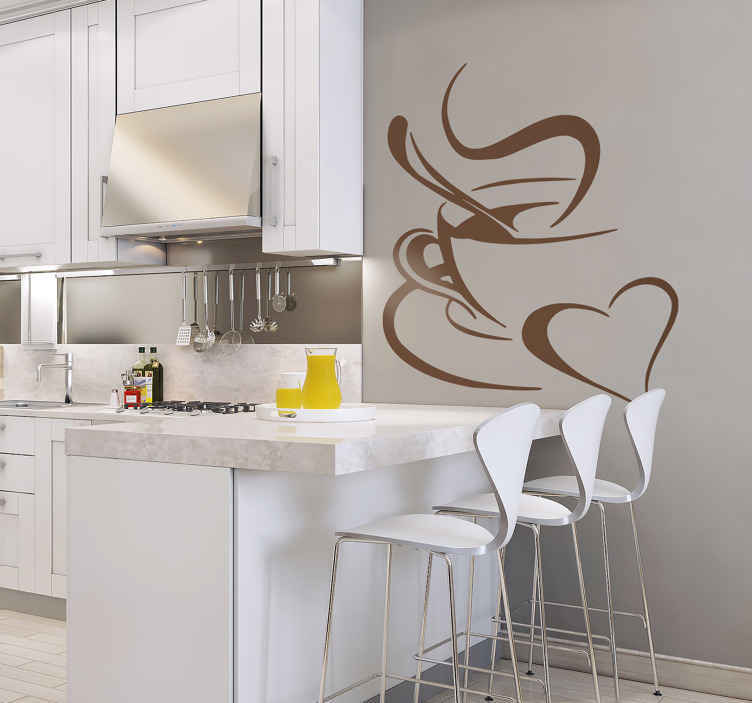 This drinks wall decal showing a cup of coffee and a love heart is exactly what you need to create a welcoming morning atmosphere in your home, cafe or restaurant. Available in various sizes and over 50 different colours.